The internet and tech unicorns that sprung up in the recent years have inspired the entrepreneurial spirit among the country's youth. They attracted billions of dollars of foreign capital and triggered the rise of hordes of startups. The good run in terms of expanding customer base, successive rounds of funding at ever-increasing valuation and steady business growth have come to a pause as 2016 was a moment of truth for many of them. The year that comes to a close is characterised by funding drought, intensified competition from deep-pocketed international rivals and downward revision of valuations for a majority of them. High valuations of Flipkart, Snapdeal, Ola, Zomato and InMobi in yesteryears came under question in 2016 and were sharply marked down by either investors or analysts. Flipkart and Ola exercised retrenchments. There were unconfirmed reports of job cuts in Snapdeal and InMobi too. Volatility at the top leadership and mounting losses added to their trouble. However, India's unicorn club has only expanded this year with e-commerce firm ShopClues and messaging app Hike joining the list of private internet and tech companies that are valued more than $1 billion. 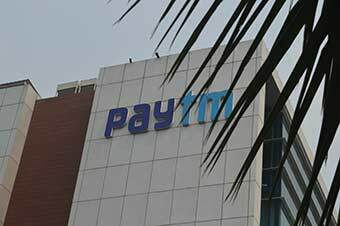 Also, the mobile wallet and e-commerce firm Paytm beat the downtrend to establish itself a formidable player this year. A look at how the year was for India's unicorns. Paytm had a good run. The Noida-based company could be one of the biggest beneficiaries of the demonetisation move that took India by surprise on 8 November. Thanks to the currency crunch, Paytm has seen its user base skyrocket to over 164 million customers in India. Nearly 40,000 merchants are signing up on the platform every day, and the company expects this number to hit 70,000 as it has been proactively rolling out new features. Paytm raised $60 million in investments at a record valuation of $4.8 billion in 2016. In addition, Vijay Shankar Sharma sold 1% of his holding in One97 to raise nearly $48.1 million later. However, its much talked-about payments bank is yet to take off and that could be its biggest step in 2017. Paytm posted a net loss of Rs 1,548 crore in FY2016 on revenue of Rs 830 crore, and it's unlikely the tide will turn anytime soon. 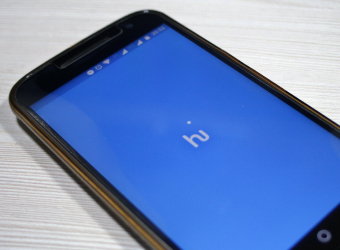 2016 could be the most significant year so far for Kavin Bharti Mittal and his instant messaging app Hike. For, this is the year when the four-year-old startup joined the coveted group of unicorns. Launched exactly four years ago, in December 2012, Hike Ltd has raised $250 million so far. It commanded a valuation of $1.4 billion in its fourth round of funding in August, when it raised $175 million from China's Tencent Holdings Ltd, Taiwan's Foxconn Technology Group and other investors in one of the largest funding rounds by an Indian startup this year. Fundraising would be one of the key missions for Zomato 2017. The company had recently hired investment bank Morgan Stanley for its next fundraise. 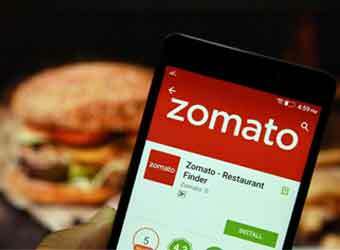 Zomato's losses have multiplied over the years as it expanded rapidly. In January, it shut down its online food ordering service in four cities. After a series of exits in 2015, its chief product officer Tanmay Saksena quit the firm in February barely a year after joining. Zomato plunged deeper into the red in the financial year through March 2016. Pre-tax loss at Zomato widened almost four-fold to Rs 492.27 crore in 2015-16 from Rs 136 crore the year before. Revenue doubled to Rs 184.96 crore from Rs 96.73 crore. 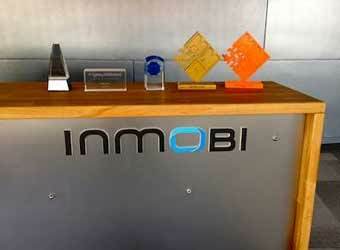 InMobi, India's first unicorn, is going through a rough patch as it nears a decade in business. This year, the company shut its mascot function on Miip, the discovery-led mobile commerce platform it launched in 2015. The company lost a number of top talents this year including its CFO Manish Dugar and Ankit Rawal, General Manager India. According to several reports, the company has laid off close to 100 employees in April this year. The company is reportedly still making losses and has never made profits. Its operating loss for 2015 was $40 million. 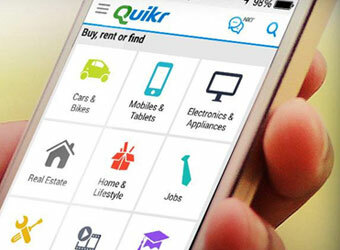 Online classifieds site Quikr India Pvt. Ltd posted a wider loss for the year through March 2016. Net loss for 2015-16 expanded to Rs 534 crore from Rs 446 crore the year before. The losses were largely attributed to its fast-paced expansion and acquisitions. The most significant development for the company was its $200-million mostly-stock CommonFloor deal. It also made several acquisitions last year including home rental startup Grabhouse, vehicle service provider Stepni, on demand beauty and wellness services platforms StayGlad , ZapLuk and Salosa, and jobs portal Hiree.com. 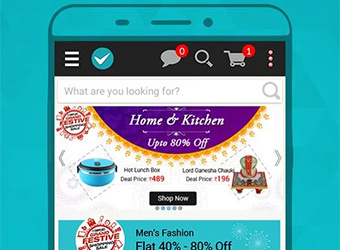 ShopClues claims it will be the first e-commerce company to get profitable in India. Its CEO Sanjay Sethi said the firm aims to attain EBIDTA profitability sometime in Q2 2017. ShopClues entered the unicorn club in January this year when it raised its Series E funding round led by Singapore's sovereign wealth fund GIC Pvt Ltd.
Gurgaon-based e-commerce firm has made a slew of acquisitions this year. The company claims to have over 5 lakh merchants on its marketplace, which is the largest online aggregation of sellers in India. The big data analytics company went through a real hard time when relations soured between the founder and his wife (who was chief executive of the company for a few months), resulting in shifts in top management and senior-level exits. Mu Sigma, which employs nearly 3,500 people and posted revenues of about $250 million in 2014-15, saw the departure of at least half-a-dozen senior executives. Weeks after the company got its new CEO, Patrick Ryan, one of the earliest backers of Mu Sigma, dragged the firm to court over 'downplaying' its prospects to buy back his stake. Ryan alleged that Mu Sigma founder Rajaram 'grossly misled' his investment firm Walworth Investments LLC about the prospects of the data analytics firm when it was doing well. In October 2016, Mu Sigma declared that Rajaram was back as CEO and Subramanian had sold her entire stake to him, leaving him with a controlling stake of 51.6% on an undiluted basis. India's largest e-commerce marketplace Flipkart had a tumultuous year as it faced a series of high-profile exits, prolonged funding drought, tough competition from Amazon and a sharp decrease in valuation. The company failed to raise investments this year, a first time development since 2011. The company went through an organisational restructuring when co-founder Binny Bansal took over as CEO and his partner Sachin Bansal moved to the role of executive chairman at the beginning of the year. 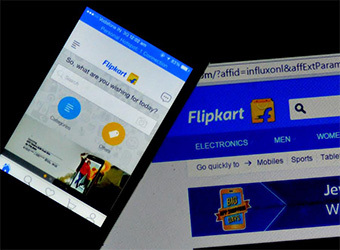 Flipkart lost its chief financial officer, chief product officer, chief technology officer and chief business officer this year. At regular intervals top executives left the firm starting from Mukesh Bansal, the board member and head of marketplace who was once seen as a potential successor to Sachin Bansal as CEO. The competitive pressure made chairman Sachin Bansal propose blockades against foreign firms. The home-grown cab-hailing unicorn has been fighting stiff competition from American-rival Uber ever since the latter's arrival in 2013. To date, Ola has raised around $1.3 billion in external funding. It was valued around $5 billion when it last raised funds in November 2015. It's been a year since the last round and the company needs to pump in more capital to take on Uber. 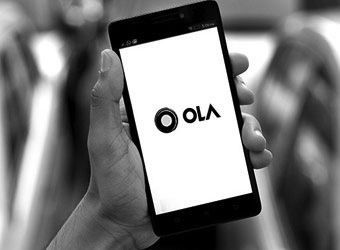 Several media reports suggest that Ola would be forced to accept a down round, which would make it the first Indian unicorn to raise follow-on investment at a reduced valuation. This is more likely especially after SoftBank marked down the value of its investments in Ola in November. Ola was in the news for playing the 'nationalism' card, betting on its "indigenous" origin, and alleging its rival Uber of capital dumping. During the last fundraise when it received $200 million from Canada's Ontario Teachers' Pension Plan and other investors, Snapdeal was valued at around $6.5 billion. Snapdeal has been scouting for more investments ever since. SoftBank marked down its investment in the company in November. The company lost one of its most high-profile hires, chief product officer Anand Chandrasekaran, this year. 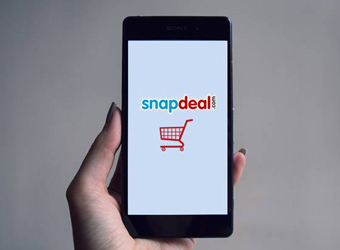 Snapdeal has been working towards reducing ballooning operational costs to check widening losses. In August, for instance, it shut down Exclusively.com just 18 months after acquiring the marketplace for premium branded fashion and lifestyle products.